Found this at Stillness in the Storm. Thanks to Patricia Sullivan for getting these so those of us who could not be there can stay up to speed. (Stillness in the Storm Editor) David Wilcock and Corey Goode appeared at the Consciousness Life Expo event this year in Los Angeles, California. The following are a series of notes from this talk. This is the first of a four-part series of notes from the CLE event. It is not an exact transcript nor is every point raised listed below. Notes provided by Patricia Sullivan. For a more complete overview of the Secret Space Program and Sphere Being Alliance, see the following. For recent updates go to divinecosmos.com and spherebeingalliance.com. 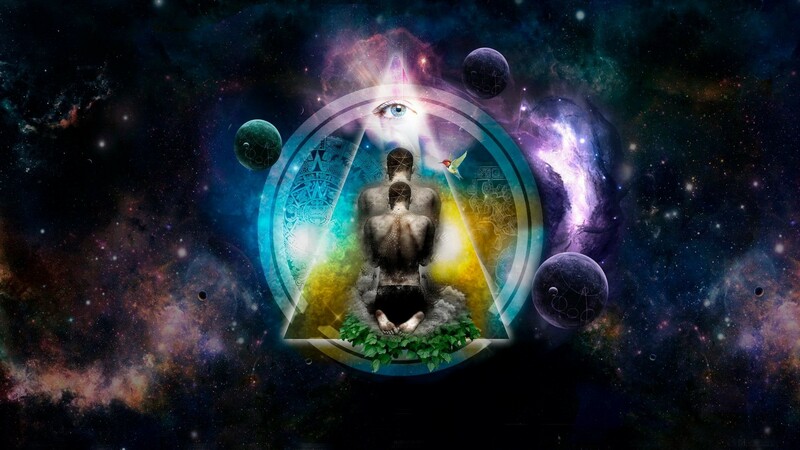 Additionally, much of the information presented during the CLE event is also rendered in the two gaia.com series, Cosmic Disclosure and Wisdom Teachings. For commentary related to the information presented by Goode and Wilcock, see the Cosmic Disclosure Summary and Analyses series. Corey added that ships/crafts are also left on surface of the Moon by ET groups as reminders of past wars, seeding the consciousness by allowing exposure of evidence. But NASA redacts it likely as part of partial disclosure. Even comics of space travel to the Moon in the 1970’s were part of seeding of consciousness. Corey was taken to one of the Ancient Builder sites on Venus, where he met a Sentinel and saw some working ancient builder technology. He also he had a download of information that he received from the Sentinel, but he has not as of yet been able to access this information. He saw glyphs and writings of this civilization when he was on Venus. ICC/Interplanetary Corporate Conglomerate is a conglomerate of military industrial complex contractors that is involved in the exploitation of space and resources and materials found therein. They are actively trading with over 900 non-terrestrial groups. The technology produced is considered some of the best in the galaxy. Trade is used instead of money; the exchange of technology and resources, such as biological material, human beings, art, and so on, are traded with other groups. Operations Command. This is the meeting he has described in the past where Teir-Eir spoke through him to the SSP Alliance Council for the first time. A Triangle Head being was also there. Ancient Builder Race and have come back as The Guardians in these giant Blue Spheres to attenuate the energy coming through the sun. 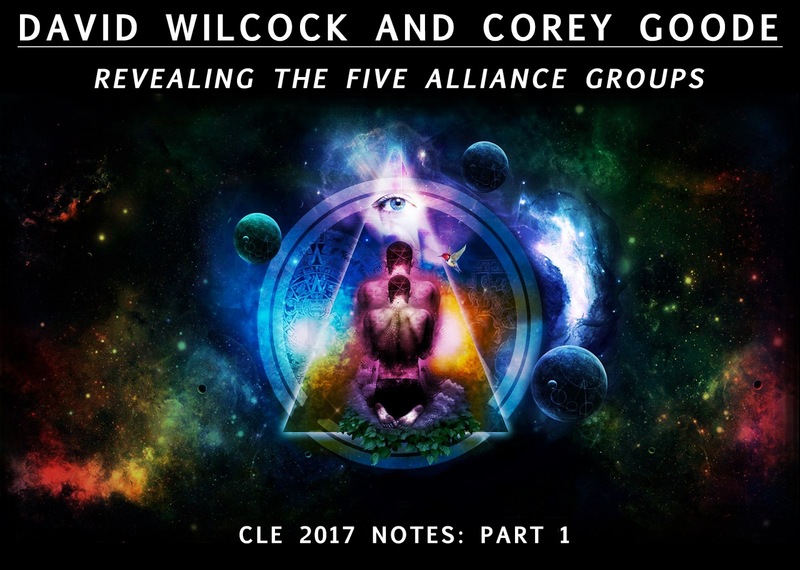 This article (David Wilcock and Corey Goode: Revealing the Five Alliance Groups — CLE 2017 Notes: Part 1) by Justin Deschamps originally appeared on StillnessintheStorm.com and is free and open source. You have permission to share or republish this article in full so long as attribution to the author and stillnessinthestorm.com are provided. If you spot a typo, email sitsshow@gmail.com. Stillness in the Storm Editor’s note: Did you find a spelling error or grammar mistake? Do you think this article needs a correction or update? Or do you just have some feedback? Send us an email at sitsshow@gmail.com. Thank you for reading. February 17th, 2017: Grammar corrections were made throughout the body of this article.